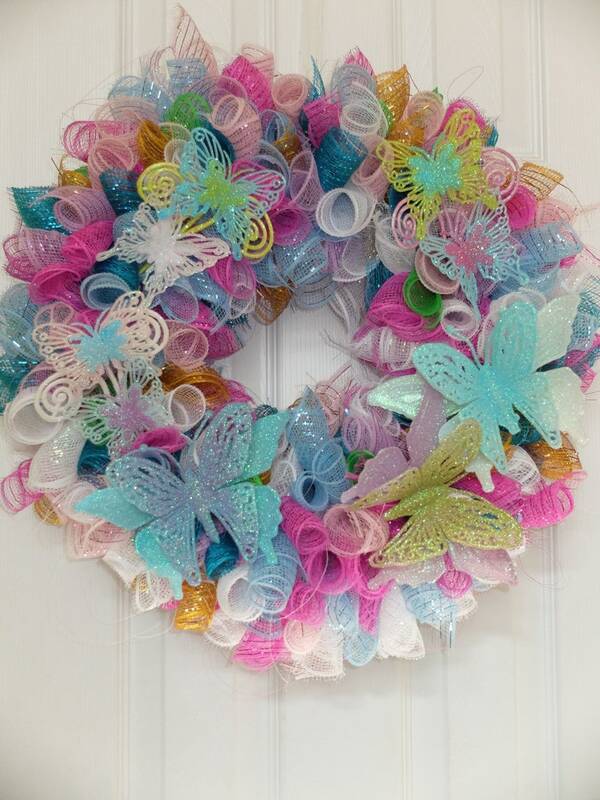 This mesh ribbon wreath will be perfect for spring into summer! It measures approximately 18”! So many compliments. Worked for Dino party and keeping it up during Mardi Gras!